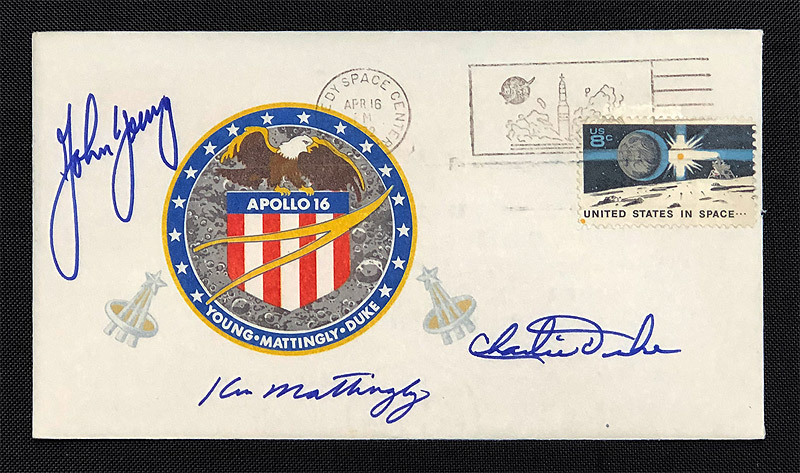 Apollo 16 ‘Type 1’ insurance cover with a cachet of the mission insignia and two sets of astronaut wings, bearing an April 16, 1972, Kennedy Space Center launch date postmark, signed boldly in blue felt tip by John Young, Charlie Duke, and Ken Mattingly. 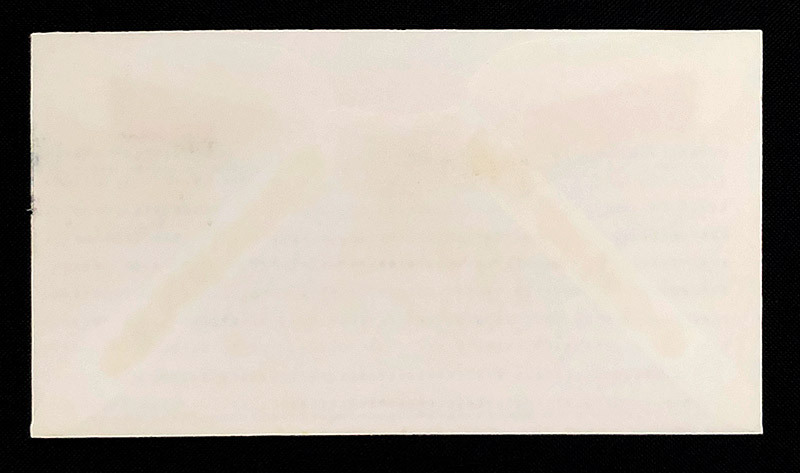 Apollo insurance covers are postal envelopes that were usually printed with a mission emblem cachet, stamped, signed by the crew and postmarked on the day of launch. The astronauts' families then retained these special covers as a type of insurance against the possibility of an accident in space that would not allow the crew to safely return to earth.